Alans Custom: Colours are up! 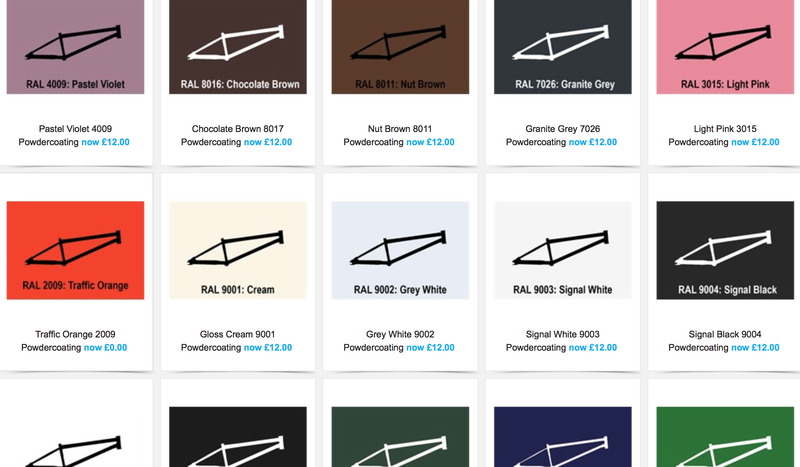 We've got a few basic colours up - but we can supply any of 220 RAL colours in Gloss, Satin or Matt. Finally after literally years of looking we are proud to announce a service we are not just happy with but over the moon with. The fact of the matter is that as BMX frames haven’t changed much in the last couple of years a lot of riders have perfect usable frames that might just look a but beat up from hard use. Our service provides an alternative to spending £500 on a new frame, fork and bars when there might be wrong with what you have. Our aim is to provide an easy hassle-free service with excellent results.